Museum’s are typically filled with art and history but the renovation of the Städel Museum has turned this museum itself into a work of art. Part of the renovation included a domed green roof garden with circular skylights that cover the new subterranean contemporary gallery. During the day, the gallery space is filled with the natural glow of sunlight and at night the interior lights shine out through the portholes on the roof. 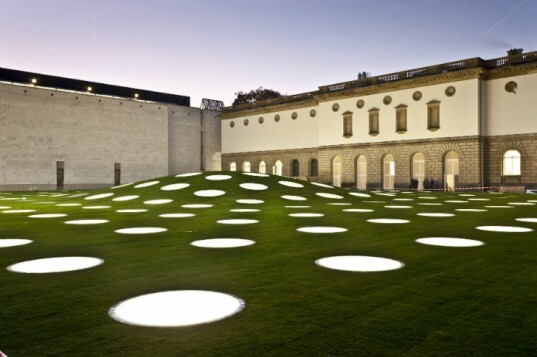 Visitors can freely walk on the round skylights and lounge in the garden. In addition, the museum underwent energy efficiency upgrades and makes use of a large heat storage capacity to create an optimal room climate with minimal energy consumption. This entry was posted in Green & Sustainable Building, News & Updates. Bookmark the permalink.